If you want an energy company that you can rely on, we are here for you. Planet Energy strives to give you peace of mind by giving you a variety of energy options. With our plans, you can choose what works best for you, rather than being told what to pay by your local utility. Mr. Nino Silvestri is an energy business executive with thirty-four years of experience in the North American energy business - in the areas of retail and wholesale natural gas and electricity commodity marketing and trading, energy regulation, and home service energy products. He currently serves as Co-CEO of Planet Energy with executive responsibility for energy procurement, risk management, processing operations, distributor relations and regulatory compliance. Mr. Silvestri was one of the founding partners of Universal Energy Corporation and held the position of President and Chief Operating Officer, prior to Universal being acquired by the Just Energy Income Fund. Prior to that, Mr. Silvestri was President of his own energy services company, and the Senior Vice President, Marketing and Business Development at Direct Energy Marketing Limited. 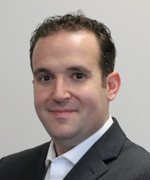 Prior to joining Direct Energy, Mr. Silvestri held various middle management marketing positions at TransCanada Pipelines Limited for ten years. 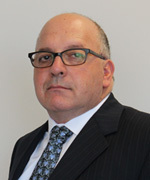 Mr. Silvestri has been a Board Member of the Ontario Energy Marketers Association, the Ontario Natural Gas Association, and the Coalition of Eastern Natural Gas Aggregators; and holds a Master of Arts Degree in Economics from York University, as well as an Honours Bachelor of Business Administration from Wilfrid Laurier University. Mr. Stephen Plummer is the Co-CEO of Planet Energy with executive responsibility for IT, Telesales, Customer Retention, Finance and Human Resources. Mr. Plummer started his business career in public accounting in 1985 working with Deloitte, later on with Ernst & Young and eventually transitioning to the banking sector. In 1994 he opened up his own financial services consulting practice and has since been providing executive and operations consulting to energy marketing, financial services and telecom companies. Mr. Plummer is also the owner of proprietary energy management software, Easybooks, which is used to provide back office, CRM and front office sales and transaction processing to energy marketing companies. Mr. Plummer was one of the founding partners of Universal Energy Group Ltd. where in his capacity as CFO and CIO he successfully designed and managed the setup of back office systems and processes from scratch for a business launch in July 2005. He was the prime driver behind Universal Energy's successful IPO of $143 million in 2007 and a key player in the continued customer growth to 575,000 customers and annualized revenues of over $700 million, until the eventual sale to Just Energy in June 2009. Mr. Plummer holds a BBA and MBA from York University's Schulich School of Business, is a Chartered Accountant, a Chartered Professional Accountant, a Certified Financial Planner and a graduate of the CICA In-depth Tax Program. 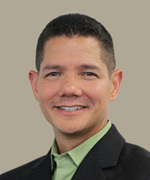 Mr. Jason Wong has over 20+ years of leadership, operational and customer relationship management experience working in energy, telecommunications and private vocational school industries. 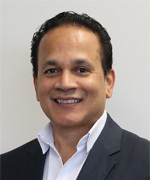 He currently serves as Vice President, Sales and Customer Care of Planet Energy and previously held the positions of Vice President, Distributor Relations, Mass Markets and Vice President, Contact Centre. Before joining Planet in 2007, Jason was the Vice President of Acquisitions and Retention for Universal Energy Group from 2007 to 2009. He also previously served as Vice President of Customer Service for Just Energy from 2002 to 2007. Prior to Just Energy, Jason held various middle management positions at Rogers Communications for thirteen years and was involved in all aspects of call centre operations, collections, customer service, workforce planning and operational support. Jordan Small joined Planet Energy in 2012. Mr. Small brings more than 10 years direct experience in the energy marketing industry, with advanced experiences in the regulatory and compliance fields. Mr. Small has direct experience in energy sales and marketing, as well as additional sales and marketing experience in previous positions in other industries. Mr. Small holds degrees from York University, and is an active participant in the regulatory framework of the energy marketing industry. It is Planet Energy's goal to help make the communities which we serve and live, better places. Through our dedicated team of employees, Planet Energy lends a hand to address important issue that affect people in our communities, families, and across the nation. Here are just some of the activities Planet Energy is involved in. Crohn's disease and ulcerative colitis are diseases that inflame the lining of the GI (gastrointestinal) tract and disrupt thebody's ability to digest food, absorb nutrition and eliminate waste in a healthy manner. Planet Energy is a proud supporter of the work towards the cure for this disease.